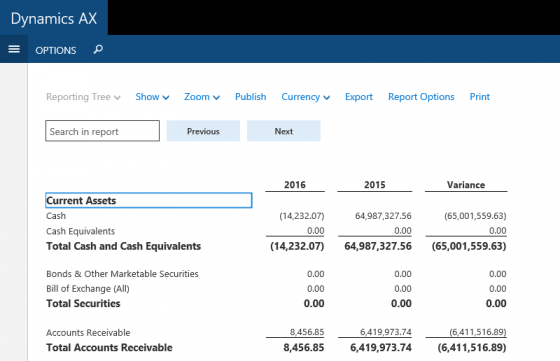 In the new Microsoft Dynamics AX, there is no separate client for running reports or maintaining DataMart integrations. The reporting tool is now fully integrated and is pre-configured in all environments. When you want to run a report you might encounter an issue that you don’t have permissions to run or edit reports. Not when you are system administrator. This post will tell you how to solve this problem. What is causing this error? How can we solve the permission error in Management Reporter? In this example I logged in the downloaded VM as administrator. I used the admin provisioning tool correctly and can access any part of AX, except running these Financial reports. Looking at how Management Reporter is working for Microsoft Dynamics AX 2012, you might know that settings like users is maintained in a separate database table belonging to Management Reporter. So when you check the database for the contents of this table, you may find that the Security ID of the Admin user is not correct compared to the contents in the AX business database. What to do next? Manually adjust the data or have a further look in the contents of the VM? Like with AX 2012 Management Reporter synchronizes all settings like users regularly. When looking at the Services you will notice that the Management Reporter service is not running. The startup type in the virtual machine is set to Manual. So you need to Start the service. When the service is running, you will not notice any direct differences. In the background it will start the synchronization of the settings and also updating the data mart. After a few minutes you may want to retry running the reports. Now it works correctly as the users and permissions are in sync with Microsoft Dynamics AX. 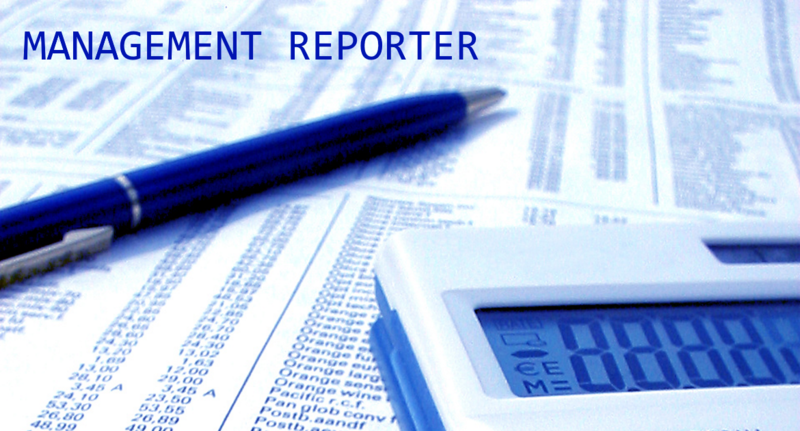 Did you find interesting details on Management Reporter in the new Microsoft Dynamics AX? Please share your thoughts and experiences in the comments below.